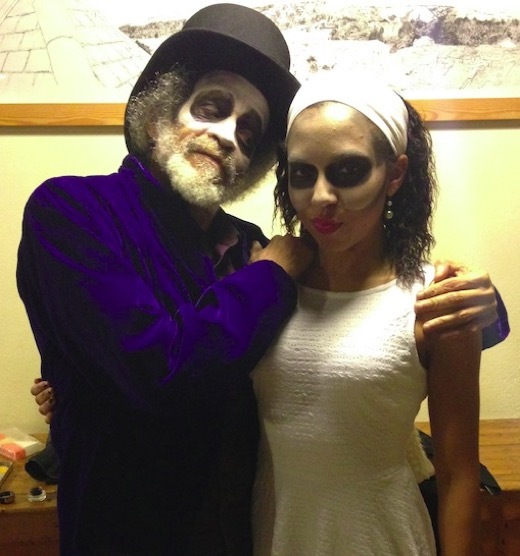 Co-founded in 2010 with John Agard and Grace Nichols, Crosspath Theatre aims to bridge poetry and theatre through a celebration of resonant text and orality. Fusing a range of traditions and linking cultures, Crosspath brings the communal energy of folk narrative, mythology, panto and the carnivalesque to contemporary issues and hidden histories. 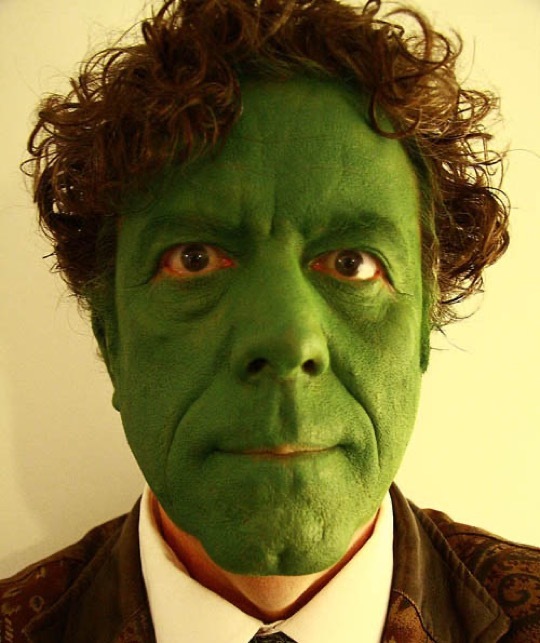 The company is focused particularly on developing John Agard's writing for theatre and is based in Lewes, East Sussex. 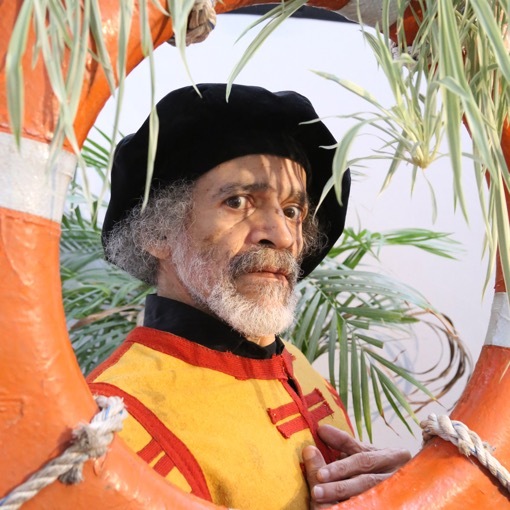 Satirical revisiting of the voyages of Christopher Columbus presented as a one man show by John Agard. 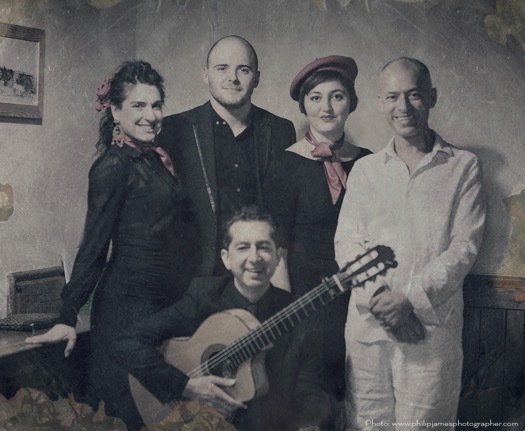 A voyage in verse with songs, performed against an evocative soundscape of Atlantic murmurings, with Agard variously taking on the voices of Columbus, The Atlantic Ocean and The Mighty Mosquito. A highly theatrical multimedia production that features live flamenco music & dance alongside powerful acting and projected images. Set against the backdrop of the Spanish Civil War, the work explores the intense relationship between surrealist photographer Dora Maar and painter Pablo Picasso. A ‘cabaret play’ steeped in Caribbean folklore. Baron Samedi & Maman Brigitte are gatekeepers to the underworld and guardians of the souls of the dead. A bawdy meditation on the afterlife. A satirical imagining of the famously flirtatious romance between Elizabeth I and Sir Walter Ralegh. 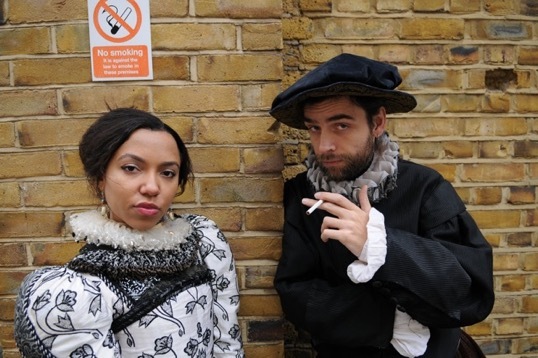 Puff is set in a period of Elizabethan enchantment with the wonders of the New World - in particular, tobacco - the Queen herself having been introduced to the puffing habit by the adventurer, Sir Walter Ralegh. An entertaining and thought-provoking spin on The Tempest; true to the spirit of magic in Shakespeare yet bringing a modern focus to still relevant questions of language, power and difference. 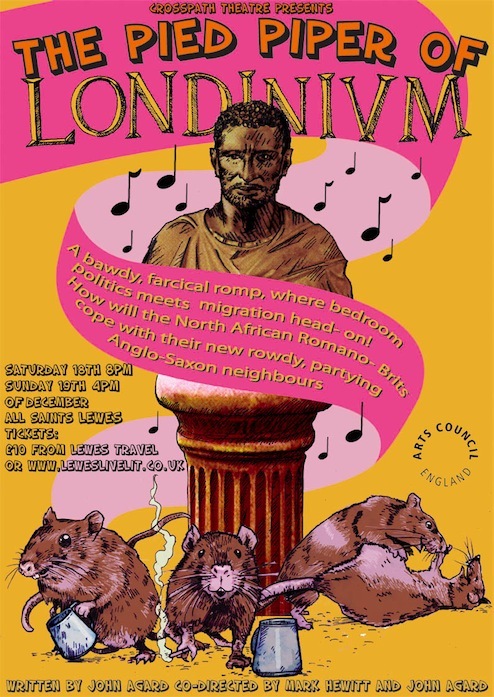 A bawdy satirical comedy set in a multicultural Roman London. Can the posh North African Romano-Brits cope with the new pagan arrivals? What to do about the plague of rats? Who will save Londinium?